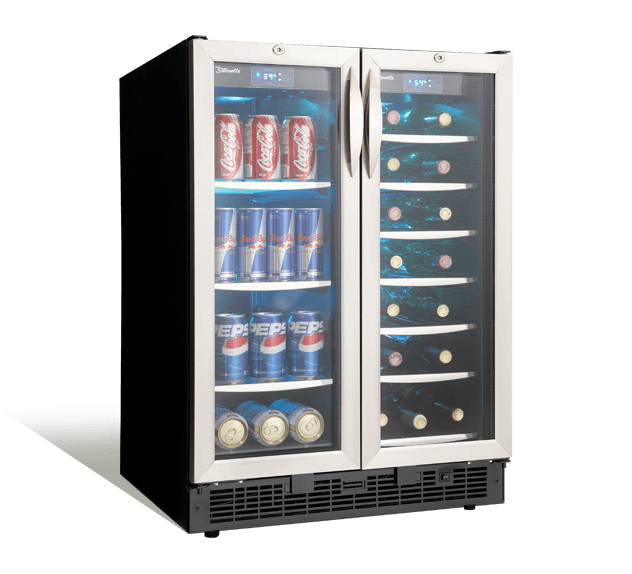 24” French door beverage centre. 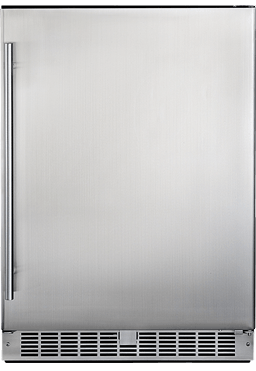 What prizes are hidden behind doors 1 and 2? 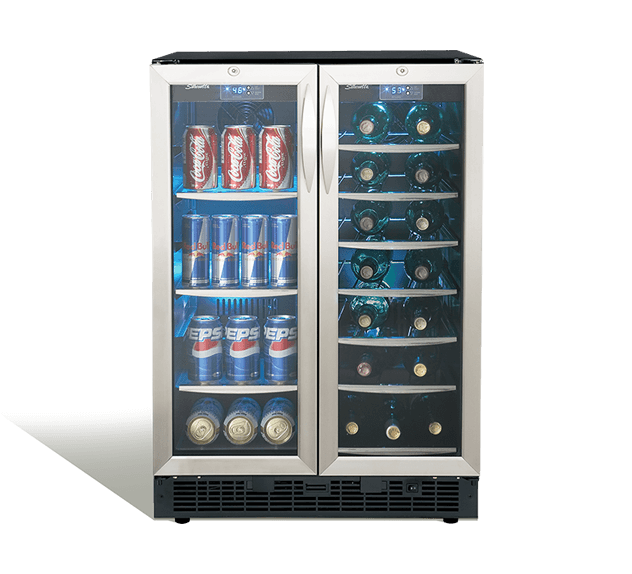 Your expertly preserved beverages of choice. 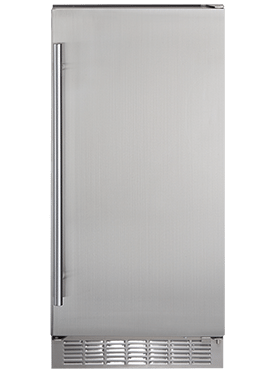 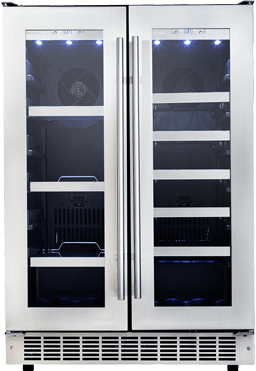 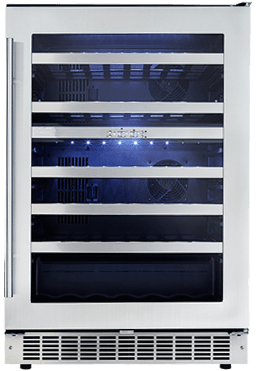 This built-in features double the temperature zones to store your wine and beverages simultaneously and fan-forced cooling assists you in enjoying frost-free luxury. 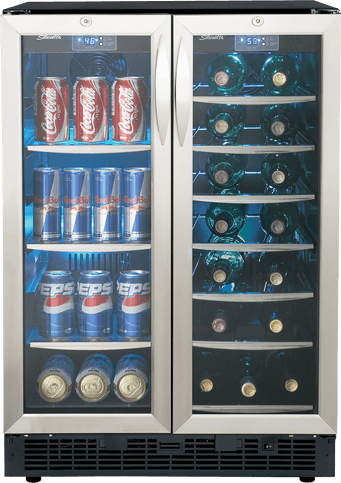 Dual temperature zones bring an end to tough multi-beverage storage decisions. 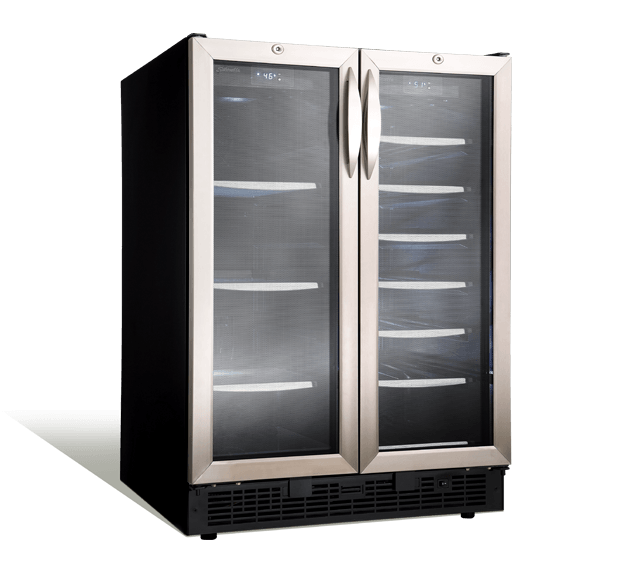 Wine and beverages require customized levels of cool, so two independently controlled sections, accessible through classic French doors, allow proper temps to be set for your distinct selection.